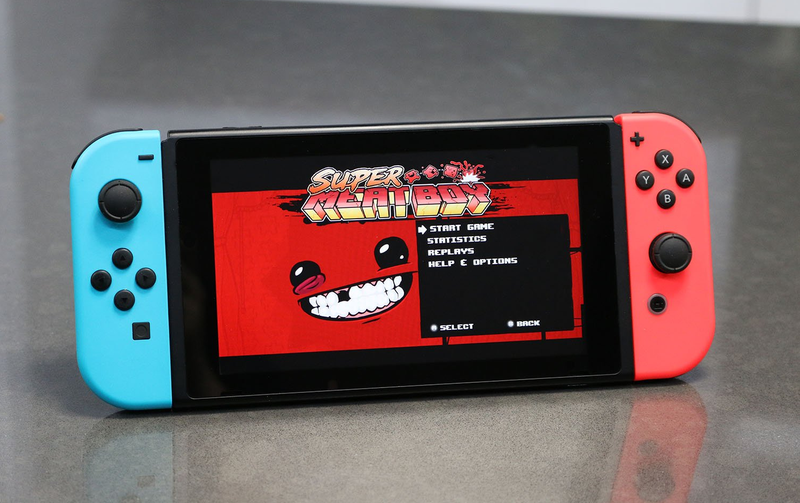 Super Meat Boy’s first day of sales on the Nintendo Switch were apparently “shockingly close” to how the game performed when it was originally released on Xbox 360 back in 2010 according to the game’s developer. Unlike some ports that have come with new modes or small expansions, the Switch version of Super Meat Boy isn’t even all that different from those that did so well on PC and other consoles over the last eight years. Outside of a new two-player splitscreen mode where people can race one another, the game’s the same. Whether it’s another example of people being willing to re-buy anything once it gets released on the Switch, or people are simply ready to revisit one of the great indie games of the last decade, the reception so far caught the developer by surprise. Not long after the game first came out, Team Meat’s Edmund McMillen and Tommy Refenes discussed how much they had worked themselves into the ground in order to launch in time for Microsoft’s “Game Feast” promotion on XBLA during the fall of 2010. They even suggested that Microsoft betrayed them by not giving Super Meat Boy the marketing push they thought had been agreed to and that it deserved since it was to be an Xbox exclusive for the first month it was out. At the last minute, Double Fine’s Costume Quest ended up released the same week and Super Meat Boy never got top billing on the store page, edged out by a Mazda 3 ad. Despite all of that though, the game went on to be a surprise hit and ended up selling over 100,00 copies by the end of the year. It did even better on PC, eventually going on to sell over a one million copies by 2012. That’s partly why the game’s continued success on the Switch no doubt came as such a shock. Even Nintendo diehards who never owned a PS3, PS4, Xbox 360, or Xbox One would have had ample time to check it out one the game came to Wii U (admittedly way too late) in 2016. At $15 on Nintendo’s eShop, the game’s price hasn’t even moved since it’s original release. The Xbox 360 launch even benefited from $5 discount during its first few weeks, making the parity between sales then and now that much unexpected. The Switch though has seen a number of ports sell better than anticipated. Despite already being out for over three years, the Switch version of Shovel Knight sold better than any of the other versions at launch according to its developer, Yacht Club Games. Wonder Boy: The Dragon’s Trap, Forma.8, and other games have seen similar success. SMG Studios noted in September that Death Squared sold more on the Switch in the first three days than all other platforms it released on combined, while the same thing happened to the Zelda-like exploration game Oceanhorn. And then there was SteamWorld Dig 2, Immage &amp; Form’s action platformer that sold 10 times more on Switch than on Steam. For Team Meat’s part, the developer tweeted that if its next game, Super Meat Boy Forever, a sequel with six new story chapters and twice as many bosses as the original, continues this trend it might even think of manufacturing its own Amiibo just like Yacht Club did. Meanwhile, a physical version of Super Meat Boy on the Switch is supposed to arrive as well at some point.